Stunning crystals set in oxidised brass form this beautiful butterfly pendant. The Butterfly measures 60mm at its widest point. The chain is oxidised brass of excellent quality and measures 32cm from centre back to centre front, with the total length of chain being 64cm. This chain can be shortened if you desire, so please ask. The pendant hangs 5cm lower. A 6cm extension chain with a crystal on the end features centre back. The piece weighs 41g. 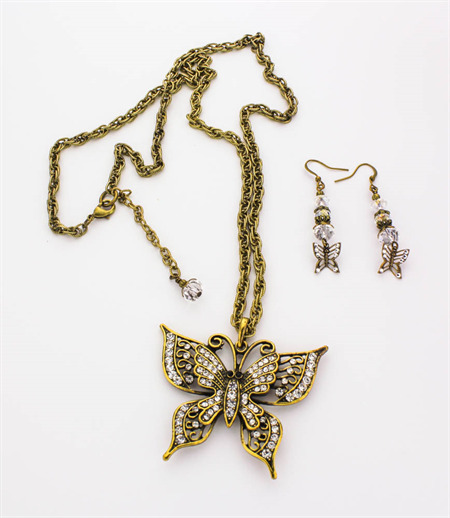 Oxidised brass, antiqued brass and antiqued gold-plated brass components, combined with Chinese crystals and Swarovski Crystal flat backs on the butterflies. They hang 3.7cm beneath the loop of the oxidised brass earring hook. Each earring weighs 2g. 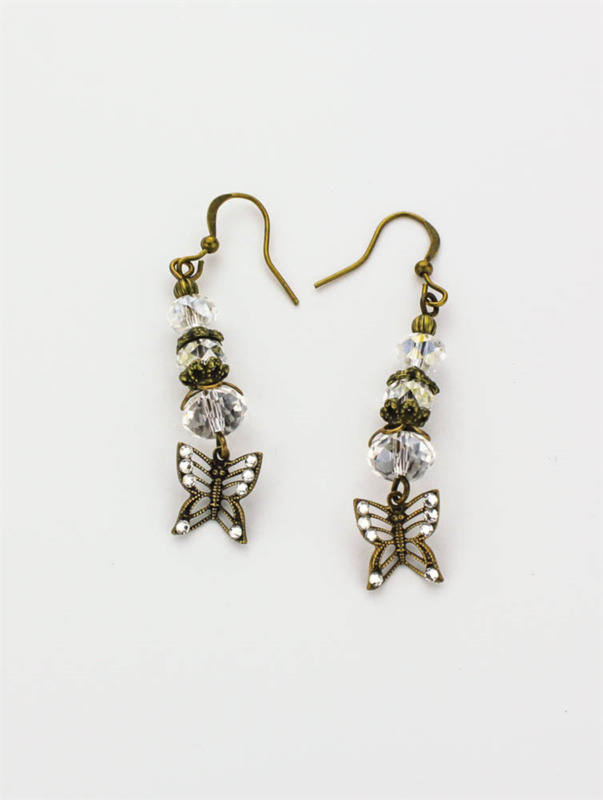 Can be worn with casual or smart casual outfits. This is an original one off design that will not be repeated, therefore you will not see your jewellery on someone else across the room.